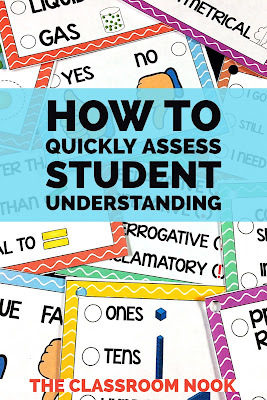 As teachers we are always checking for understanding from our students. 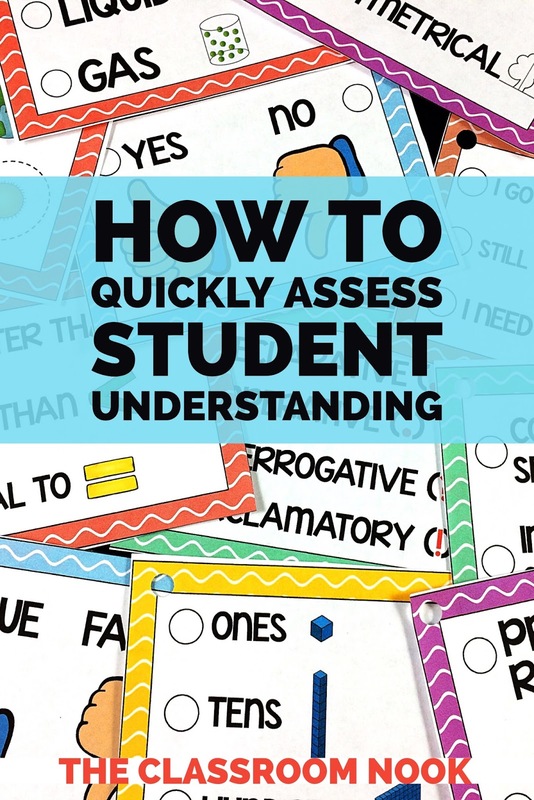 Whether it's a unit assessment, a reading response, or a written answer, we need to keep track of students who are getting it, and those that aren't. But - we don't always have time for or even need a formal assessment. Sometimes we just need to be able to scan the room and take a quick check. I created several different cards for different topics where students can quickly show me the answer to a question that I ask related to that topic. I called these my "Show What You Know" cards. On the cards were generic answers to questions that I might ask about different topics to see what my students remembered or understood about what I taught them. For example, for teaching about primary and secondary sources, I had a card with two answers on it: primary source and secondary source. 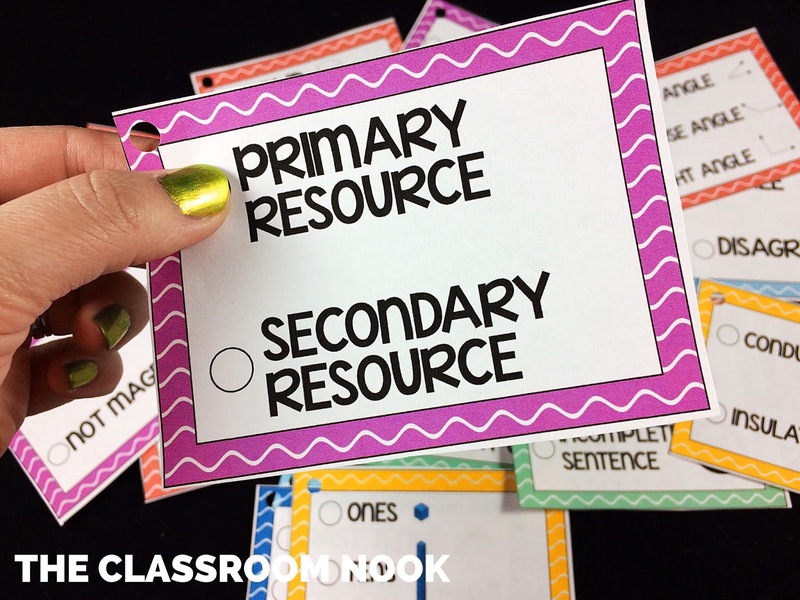 When checking my students' understanding of the difference between primary and secondary sources, I could show my students different examples each kind of source and then have them place their finger over the circle next to the correct answer and hold it up for me to see. It was easy for me to scan the room and see who's got it and who doesn't. Students would repeat this process for each question. I could ask follow up questions, as needed. I also had generic cards that can be used for any topic. Cards with answers like "agree/disagree" and "true/false," or even "yes/no" allowed me to ask questions about the topic we were learning and have students give simple answers. In science, I could ask a question like: Is milk a solid? 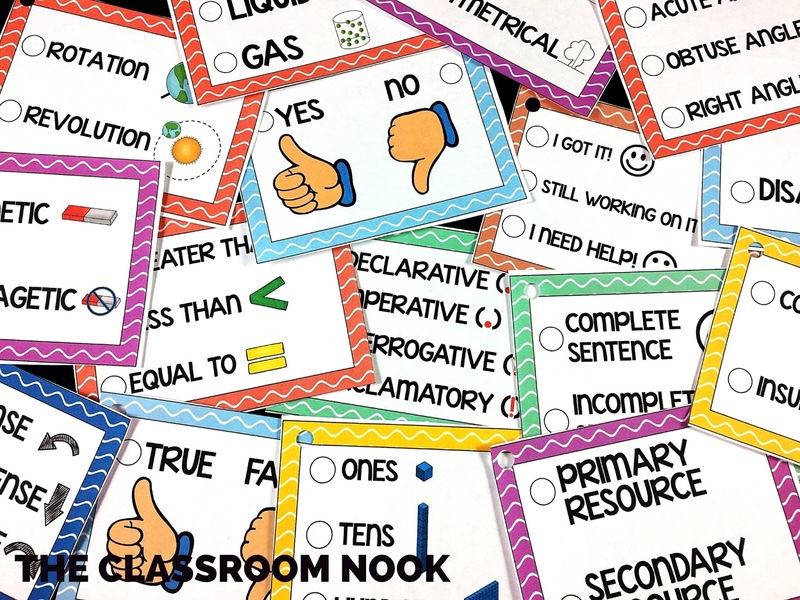 and students could use the "yes/no" card to respond. Another type of assessment I liked to use these cards for was assessing my students own assessment of themselves. What do I mean? Student chose either "I got it!" "Still working on it" or "I need help." 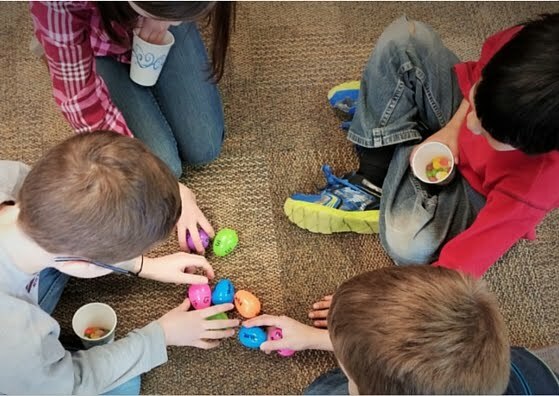 Then I could quickly see how students felt about their understanding and I could meet with students who say they still needed help. I could also take it a step further and have students support their response by asking them WHY they think they've got it or WHY they need more help. 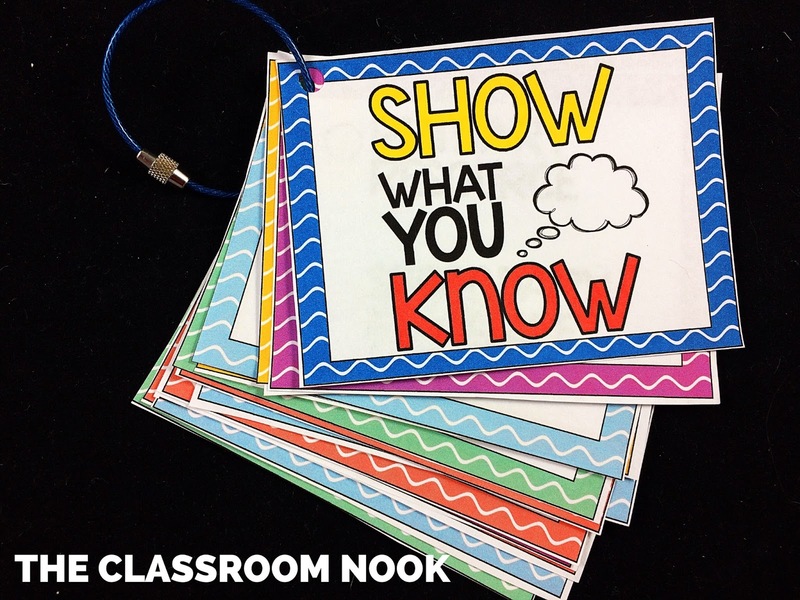 To make these cards accessible to all my students in a moment's notice, I made enough sets of the "Show What You Know" cards for each student. Each set was stored on a ring and I placed all my sets in a basket within easy reach. 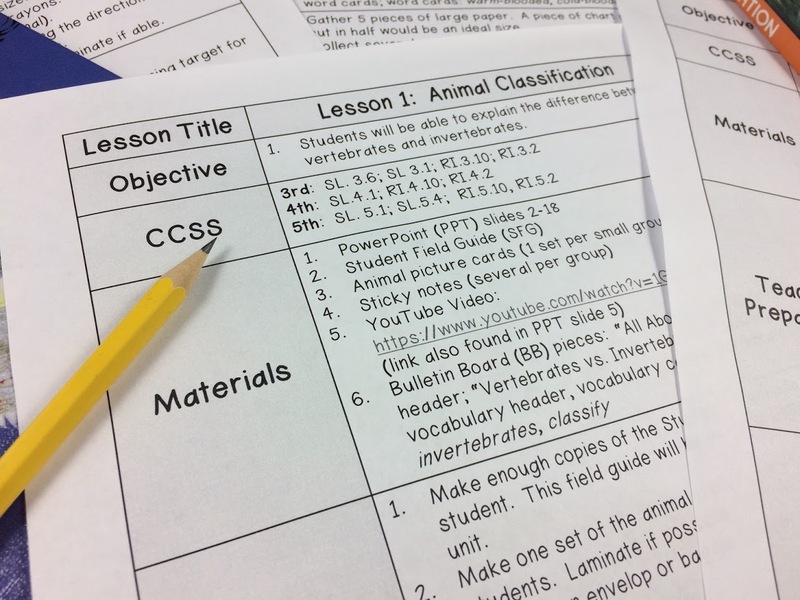 At the end of a lesson when I wanted to get a quick assessment of what we learned, I passed out a set of cards to each student and had them flip to the card that would best assess their understanding of the lesson. TIP: Number your cards so that you can tell your students what card to go to and they can quickly get to the right one. Want to give them a try? Grab a FREE SAMPLE SET by entering your name and email below! These cards can be used all year long! They are simple to make and it's easy to add a card to the ring as you need new ones. plus - editable cards to create your own! Don't Forget to grab your FREE SAMPLE SET by entering your name and email below! 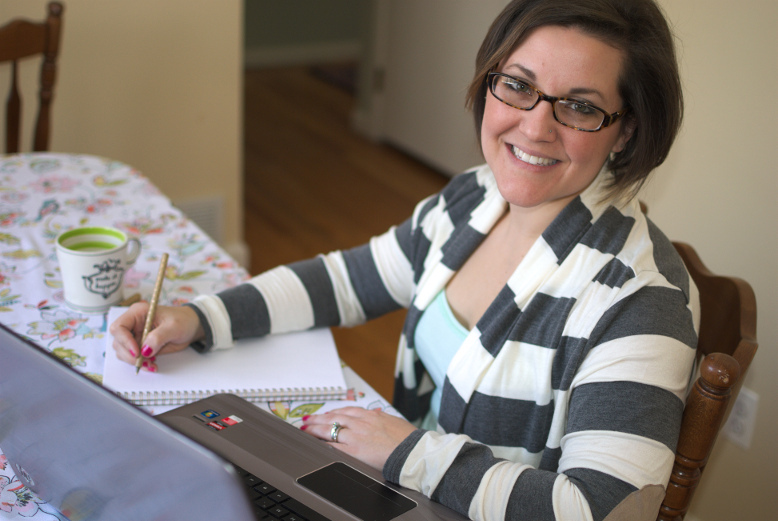 What's your go-to method for quick assessment?